There are a lot of “firsts” to write about when it comes to Laura Ortega ’18, a forward from Spain on the women’s soccer team. 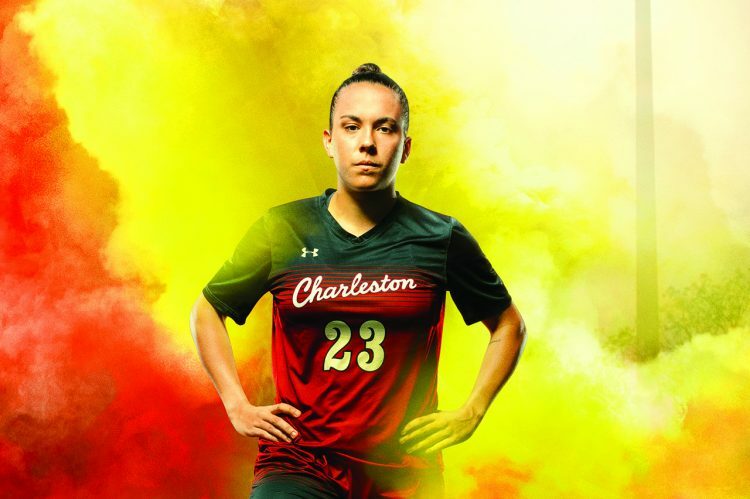 At the final game of the season at Patriots Point, Ortega scored the 25th goal of her career – the most in Charleston women’s soccer history. A week later, league coaches voted her the 2018 Colonial Athletic Association Women’s Soccer Player of the Year – the first one in program history to achieve such an honor. The next day, she scored two more goals against Drexel in the CAA playoffs, including the double overtime game winner that lifted the team into the CAA semifinals for the first time in program history. 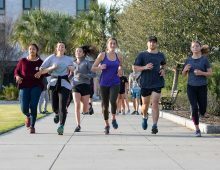 Having graduated in December with an exercise science degree, Ortega is planning on playing professionally, either here in the U.S. or home in the Spanish professional league. To Ortega, they are the ones who always came first.